When people ask me for advice on traveling to Italy, they are usually asking about Rome, Florence, Milan or Venice. That’s it. There are, according to the masses, no other parts to explore. 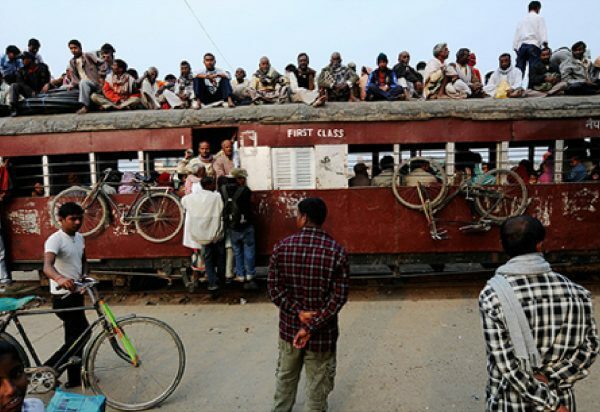 Personally, I like to travel as much as possible like a local and try to experience life as they would. 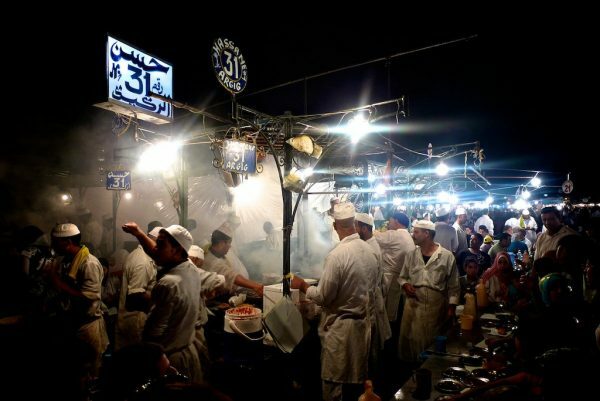 Go to the restaurants where the menus aren’t available in eight different languages, if they are even available at all, and go to churches that are tucked away from the foreign crowds and wander down narrow paths that aren’t on maps. If you open your mind and are willing to try places other than the well trodden, you will discover a whole other Italy. In recent years, Puglia has received more attention. Being surrounded by the ocean, (actually by three seas, the Tyrrhenian Sea, the Adriatic and the Ionian Sea) it is, obviously, a perfect beach destination. Puglia has stunning cities on the water, like Gallipoli and Polignano a Mare, and is one of the most beautiful regions in Italy with so much to see and explore. 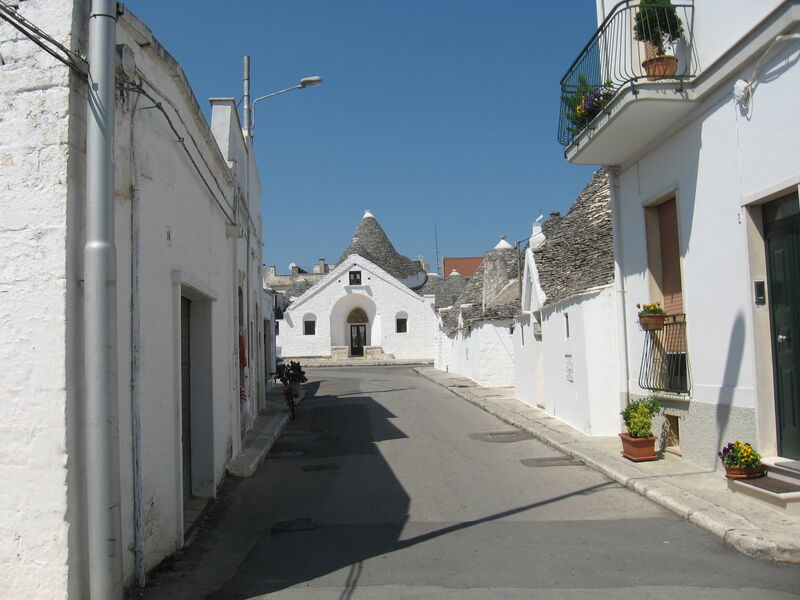 One of my favorite places is Alberobello, a Unesco World Heritage Site, and home to the Trulli, traditional Apulian huts with a cone-like limestone tiled roof. They were generally built as temporary, dry stone accommodations that could be dismantled in a heartbeat… usually when the tax man came to town. Have you ever imagined what it would be like to live in a little cottage like Snow White and the Seven Dwarves? That’s just me? Well, wandering through this town, you feel like you are stepping into a fairy tale. One of the last times I was in Alberobello, I came across a procession of traditional Italian folk dancers, doing the Pizzica. The Pizzica, or Taranta as it also known, is a traditional popular dance of the city of Taranto and the Salento region. This dance was created by women, demonstrating their desire to be free from the oppression of a strict and patriarchal culture. There are various types of Pizzica, danced between two women, or a man and a woman, all ancient in origin, often bound with the cult of Dionysus. You feel the music in your soul — when I heard it for the first time, I felt a rush of blood through my veins. Walking through Alberobello, surrounded by the Trulli and seeing dancers in period costume, you could have been mysteriously transported to the sixteenth century. 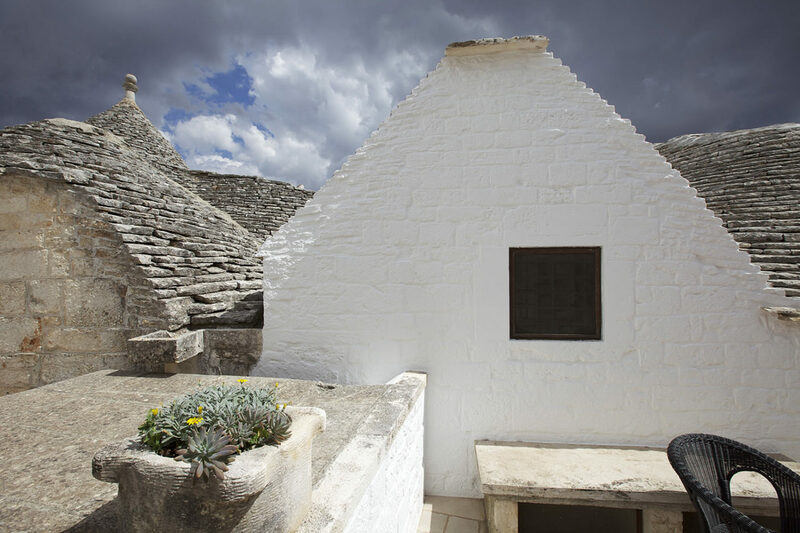 Be sure to check out Trullo Sovrano, the only two floor Trullo in the area, now a small museum. Also see the Sant’Antonio Church, and Casa d’Amore, not, as it sounds, the House of Love, but derived from the surname of its owner Francesco d’Amore, who took part in the insurrection of Alberobello against the feudal tyranny during the 18th century. After an uphill walk through the Trulli of Alberobello, be sure to stop for lunch at Gli Ulivi and order their classic antipasti. This is enough for two people as a meal, trust me. Up to fifteen small plates are presented at your table offering Pugliese specialties and seasonal vegetables. A silky burrata, fresh garlic scented bruschetta, polpette di pane (bread meatballs), fried fava beans, beet salad, roasted asparagus and more. Enjoy with a carafe of their local red house wine, which is great, and call it a day. Polignano a Mare is built high on a cliff and surrounded by the crystal clear waters of the Adriatic. Its origins date back to the 4th Century BC when Greek settlers founded the city of Neapolis. This tiny ancient town, reached through the Porta Vecchia gate, combines beautiful winding, white washed streets with very old churches, such as Chiesa Matrice. Meandering through the streets, you come across panoramic terraces with stunning views of the Adriatic and the coastline. It will literally take your breath away. This area is famous for a few things — one being cliff diving. So, if you’re the adventurous type, grab a friend, a negroni to give you some courage and jump! Polignano a Mare is also famous as the home of Domenico Modugno, the voice behind the classic song “Volare.” Take a gelato break at Gusto Caruso and then burn off calories by walking along the pebble lined beach, Lama Monachile. Finish the day with a visit to the extraordinary Pino Pascali Museum Foundation, a must if modern and contemporary art are your thing. If you’re really looking to go way off the beaten path in Puglia, I suggest taking a look at Noci; a town in the region of Bari, with a beautiful historic center, filled with whitewashed old buildings and a charming mix of restaurants, galleries, shops and cafes. On a walk through the town, you will come across Piazza Plebiscito. To the right you will see Chiesa della Nativita di Noci, and to the left, a beautiful coral washed clock tower, watching over the quiet piazza and gently reminding people that time can stand still in this small town. Noci is a perfect base if you want to explore other parts of Puglia but stay someplace tourist free. Every Tuesday, there is a large market along the perimeter of the town center. After strolling through the market, grab a seat at Bar Pace in Piazza Giuseppe Garibaldi and people watch. Order a fresh, warm chocolate brioche and a glass of their homemade almond milk. You can thank me later. The resorts throughout the region are just as vibrant as the rest of Puglia. 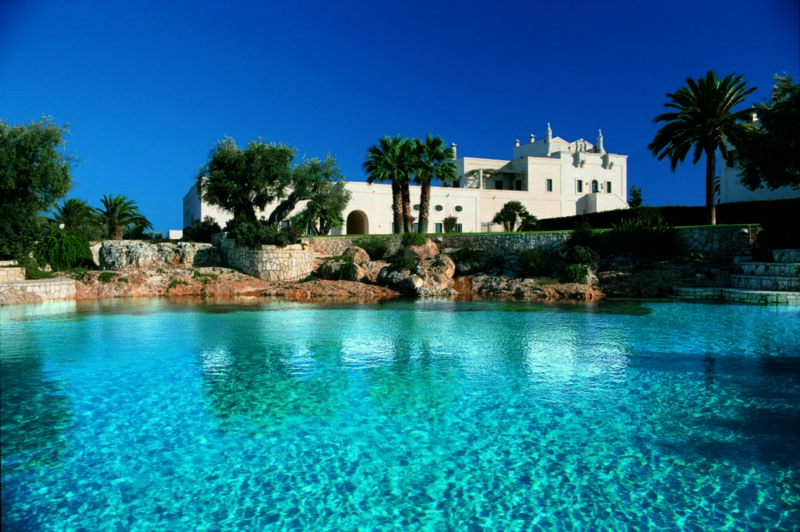 The 5-star heavy hitters are sister properties Borgo Egnazia and Masseria San Domenico. Both are within walking distance of the Adriatic Sea. Borgo Egnazia has its VAIR Spa, Due Camini Restaurant, which takes a gourmet approach to simple, traditional Italian dishes, and world class San Domenico golf course. Masseria, originally built as a watch tower for the Knights of Malta, features several rooming options, including four on the water that the hotel markets as the pied dans l’eau suites. 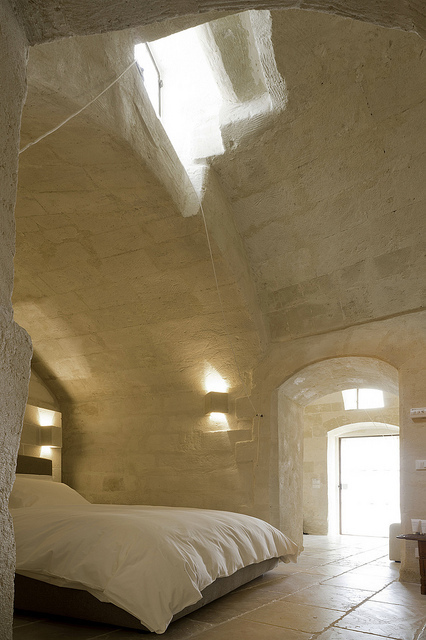 For those looking for a more cozy option, there is the Trulli and Puglia Resort. Entirely built of stone, Trulli is in the center of Alberobello. Locando Don Ferrante brings us back to the seaside, in the heart of Monopoli, uniquely squeezed between the Adriatic and the historic buildings of the old town. The region of Basilicata, in Southern Italy, is filled with forests and mountains, and not filled with tourists, even most Italian tourists, because few people really know it and most foreigners have never heard of it. Wedged between Campania, Puglia and Calabria, it is pristine, has a small but exquisite coast beneath steep, sheer cliffs, and the unhurried peacefulness of Paradise. And the food, not surprisingly seafood-centric, is phenomenal. For the wine snobs among us, the Aglianico del Vulture of Basilicata is superior to the more commonly known Aglianicos of Calabria, because Basilicata’s grapes are grown in the volcanic soil of Mount Vulture and have a deeper, richer complexity. The most famous city in Basilicata is Matera, another Unesco World Heritage site and recently designated one of two European Capitals of Culture for 2019 by the EU, which means it won’t be “lesser known” for much longer! The ancient city — one of the longest continuously populated on the planet — is chiefly remarkable for its sassi, its grottoes carved out of limestone. Buildings cover the hillside, houses piled one on top of the other, a unique and exquisitely beautiful site to explore on foot. You wander through a labyrinth of narrow alleyways, dead ends and steep stone stairways. There is something quite literally hauntingly beautiful about Matera — it was once a ghost town, only recently revitalized. On top of aimlessly wandering around Matera, which I have to admit is my preferred way to travel, with no set schedule, there is a lot to see. The Museum of Contemporary Sculpture houses modern sculptures scattered in the little nooks and crannies of a 17th century cave palace. Explore Casa Grotta di Vico Solitario, where families of up to six people, plus their animals, lived in caves in the 18th century. At the end of a day of sightseeing, I recommend heading to Ristorante del Caveoso, a lovely trattoria with a wide range of offerings — especially for vegetarians. Start with a beautiful antipasti plate with seasonal fresh vegetables, polenta, focaccia and cheese. I love that the antipasti plate constantly changes to include what is fresh and made in house that day. There are a surprisingly high number of great places to stay in Matera. There’s the SassiSuite Hotel, in the middle of the Sassi Barisano section, where stone houses are mingled with grottos and caves, and the hotel itself offers a mixture of gorgeous sunny rooms and top floor suite and an excavated, massive cave suite, which is actually in a cave. The Corte San Pietro is constructed out of cave houses, and has the design aesthetic of the most elegant Aman hotels. Sextantio Le Grotte della Civita was a cave church, turned into 18 gorgeous, sumptuously detailed rooms. Breakfast is served in the crypt. On the other end of the scale of dwelling options, the Palazzo Viceconte is a spectacular private baronial residence turned into a luxury hotel, without a single cave on property. Le Marche, in the east, sits between the Apennine Mountains and the Adriatic Sea, with the far better known Tuscany the other side of those mountains. 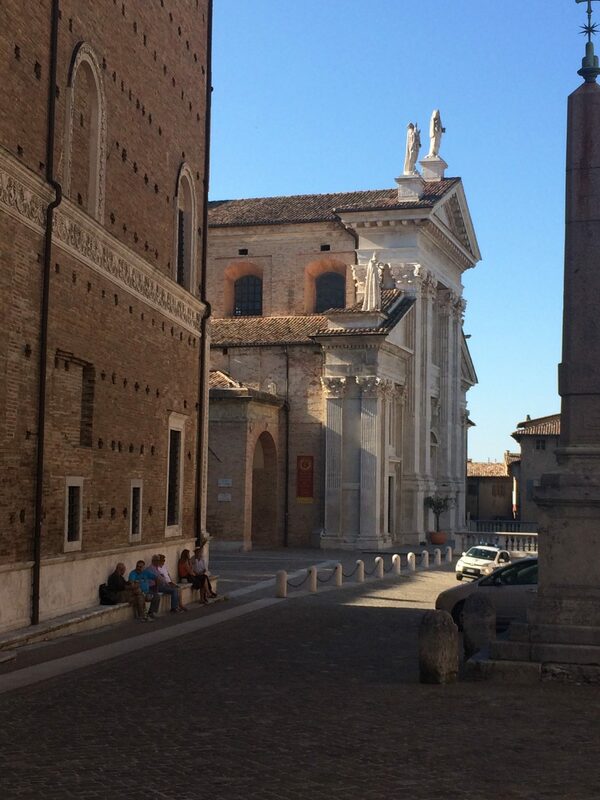 There is a lot to explore in Le Marche, but what to see first? Might I suggest a visit to the Frasassi Caves, to keep our caves theme going, in the region of Ancona? This is perhaps Le Marche’s most popular natural attraction. If you’re really up for exploring, head to the Great Cave of Wind, 13 kilometers of passageways to get — if this doesn’t sound too ominous — lost in. If you’re especially brave, you can also take a look at the Cave of Bats (I think the name is self-explanatory) and the substantially less frightening Room of Candles. 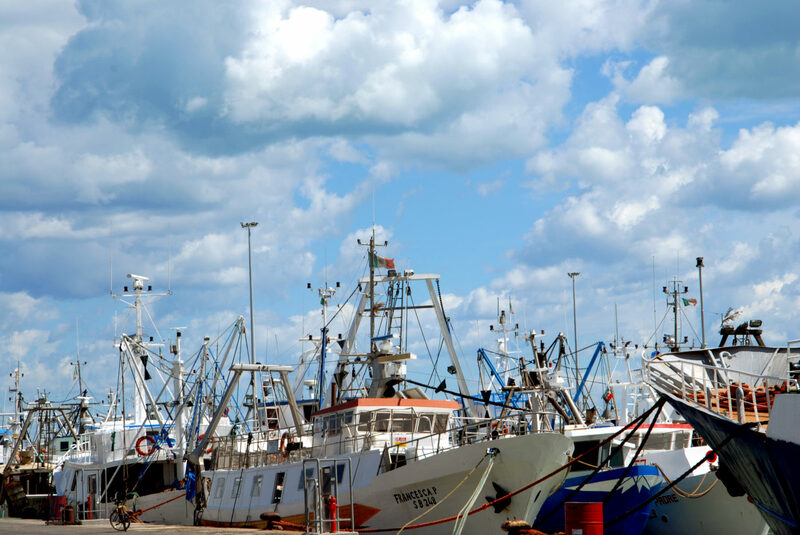 While in Ancona, take a pausa per pranzo at a local trattoria and dig into a plate of baccala all’anconetana, the local specialty of salted cod, potatoes and tomatoes drenched in fresh olive oil. Next stop, Senigallia. A destination not to be missed if you’re up for pure sun and fun. Take an afternoon nap at Spiaggia di Velluto or The Velvet Beach. Grab a lounge chair, a fresh mozzarella and tomato panini, and a cold beer or bottle of light white wine and relax. 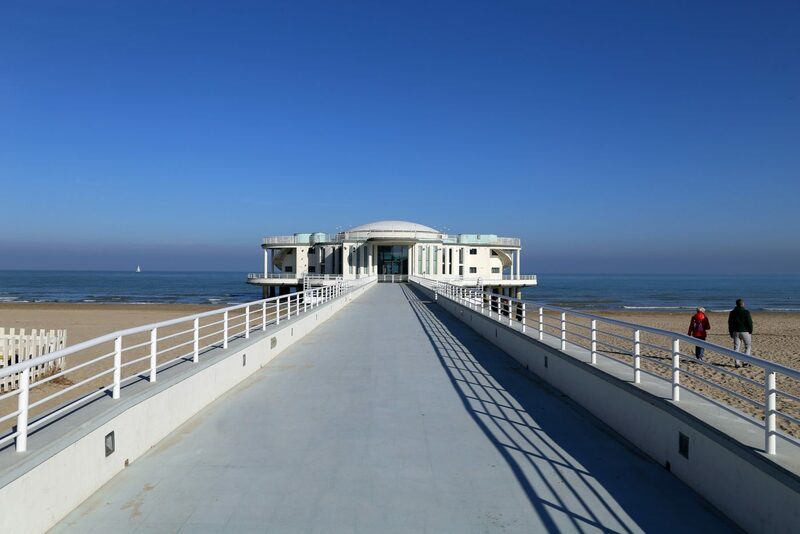 While at the beach, take a walk to La Rotonda Sul Mare, a pier with a round shaped pavilion (hints of the Pantheon), built over the sea in the 1930’s. It was once often used for weddings and parties, but in recent years has been used less frequently, but worth the visit for its unique architecture and stunning views. My favorite reason is their Summer Jamboree. As a former burlesque performer — now you know! — this festival was made for me. A two week long swing, rock ‘n roll and lindy hop extravaganza, where guests can enjoy dance classes, concerts, burlesque, a vintage market and superb street food. 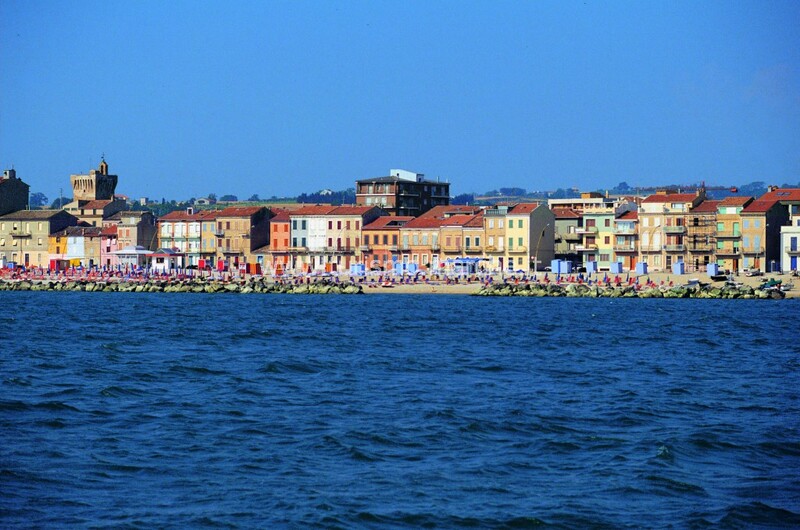 And there is also the beautiful seaside town of Pesaro, which is known both as an idyllic beach destination, and the home of the Italian composer Gioacchino Rossini, and is popular with British tourists (just warning you). It has the highest bicycle use of any town in Italy, since you asked. Just east of Pesaro there’s the truly extraordinary Parco Naturale del Monte San Bartolo, one of the most beautiful parks and nature preserves in the country. From there, if you’re up for something a little more intense, take a drive to Loreto, the home of Basilica della Santa Casa, one of Italy’s most important pilgrimage sites. Ancient legend claims the walls of the shrine are from Nazareth: the Holy House is said to be the same house where Mary was born, grew up and received the announcement of her Divine pregnancy from the angel Gabriel. Legend attributes the transportation of the House of Nazareth to angelic intervention. It is definitely worth seeing whether you’re a believer or not. If you’re lucky enough to be visiting Loreto in September, there is the traditional Corsa del Drappo, a race with horses galloping uphill through the town (a bit like Siena’s more famous Palio, but without the death and mayhem). If you are there in December, there is the Vigil of the Feast of Our Lady of Loreto on December 9, before her feast day on the 10th. For those who always like to try to squeeze a museum visit in, see The Historical Air Force Museum, housed inside the Town Hall in Corso Boccalini. The Italian Air Force has a strong presence in Loreto. Finish your day with a seat outside at Café Bramante for a quick aperitivo or one of their homemade gelatos. You can’t visit any town in Italy and not check out the gelato situation. I’m pretty sure it’s a law. There are hotels to match all of the different parts of the region. Hotel Excelsior is on the water’s edge in Pesaro. This hotel is more modern than many of the others nearby, with sweeping, large glass windows, a beachside Lido, and the posh ’59 Restaurant. 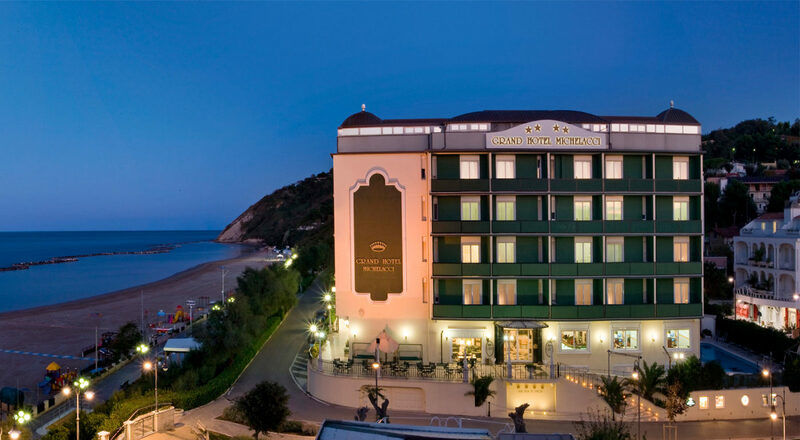 Grand Hotel Michelacci is also seaside, next to the Gabbice gulf. It offers the Maison D’O Beauty Farm, an uber spa with an inside pool and three outdoor ones. In striking contrast, the luxury and wellness Hotel Mamiani Urbino is located in the hills surrounding Urbino, offering striking views of the countryside, and just over a mile from the city. Venice is in the Veneto, but the Veneto is not just Venice. Stretching from the Dolomite Mountains to the Adriatic Sea in the North East of Italy, the Veneto is also home to what is probably the country’s best known white wine region, around Friuli. Let’s start in Verona, among other things, the setting for Shakespeare’s Romeo and Juliet. This is a beautiful spot to relax for a few days. The town itself is quiet, small and compact, making it a wonderful place to see sites by foot. 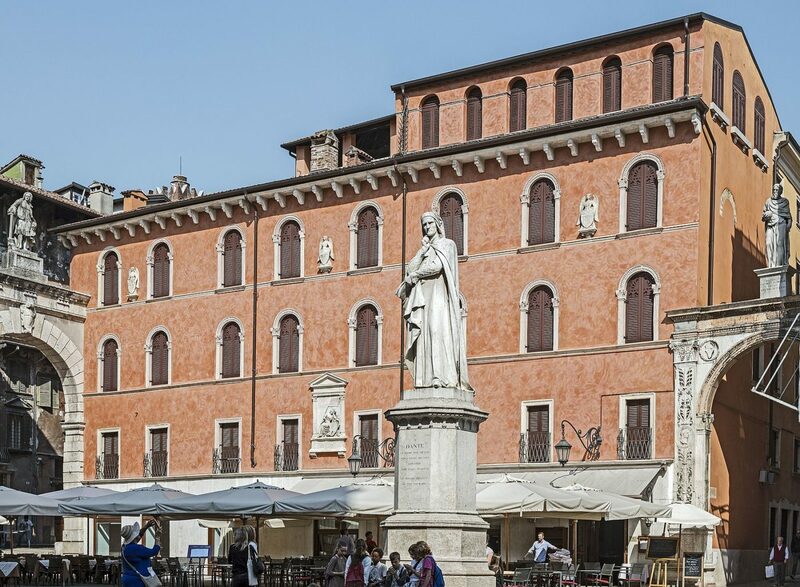 A lovely spot to start our tour is Piazza delle Erbe, at the heart of Verona’s historic center. Take in the beautiful architecture, such as the town hall, the frescoed walls of the Mazzanti houses, the Palazzo Maffei (done in Baroque style) and the oldest piece in the whole piazza, the fountain with its beautiful statue of Madonna Verona, which dates back to the time of Roman rule. While any restaurants or cafes directly in the piazza will have “tourist” prices and food, it’s worth it just to stop for a cocktail and breathe in the beauty. As a lover of opera and former opera singer — ha! I have kept no secrets from you! — no trip to Verona is complete without a visit to the Verona Arena. From June to September, the Roman amphitheater hosts The Arena Opera Festival. Even if you’re not a fan of opera, just sitting in an ancient Roman Theatre under the stars listening to beautiful music makes you feel like you’re in a dream. Explore the Scaliger Tombs, located near Piazza dei Signori, a series of gothic monuments dedicated to the influential Scaliger family. There are five tombs, dedicated to Cangrande I, Mastino II, Cansignorio, Alberto II and Giovanni. The last monument is built into the wall of the adjoining chapel and features an ornate coffin and death mask. From Verona, let’s head to Lake Garda, named for its beautiful clear blue lake. It is Italy’s largest, reaching from the alpine foothills to the northern edge of the Po Valley. The southern shore is lined with beaches, and in the north, mountains rise above it. Lake Garda is certainly a good spot for a more active, water sport focused vacation. After a day of activity, slow down with a visit to the Scaligeri Sirmione Castle, which dates back to 1250 and is considered one of Italy’s best preserved castles. If you’ve had enough sightseeing and just want to relax and have fun, I suggest a trip to Gardaland, considered the Disney World of Italy. You might think, why go to Italy and go to an amusement park? Well, why not do something that is strictly fun and a little silly? Right? For a light treat, head to Bruschetta Nose. You can custom design your own bruschetta or the owners are happy to make recommendations. Fresh mozzarella, oregano and tomatoes are a classic or go with speck, radicchio and some balsamic. But you knew that. Veneto is one of the most historic regions in Italy, and its hotels reflect this. CastelBrando is a remodeling of the former fortress and medieval castle of the same name, originally built in the 1st century as a Roman fortress. 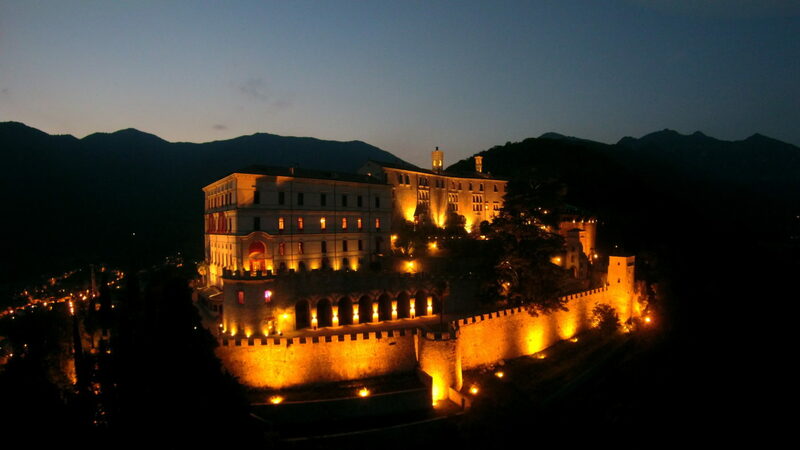 The hotel offers rooms in both the castle and the nearby Villa Marcello Marinelli, for those who want to be closer to the town of Cison di Valmarino. Either way, an exquisite experience. Hotel Villa Foscarini is a quaint hotel in the center of Mogliano Veneto. Large living room areas and rooms individually curated by the hotel staff create a very homey feel. Hotel L’Ultimo Mulino is a gorgeous hotel converted tastefully from a former 17th century watermill. It also has a renowned restaurant and beautiful gardens abound.